April Fools usually happens every first day of April, and it has been celebrated by millions of people around the world where they are delighted in playing practical jokes or prank on each other. 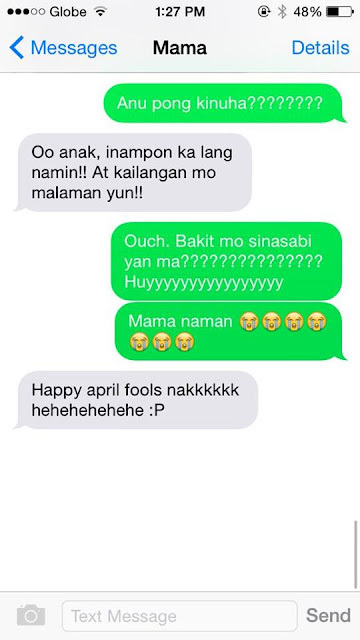 Nowadays, a number of April Fool’s pranks are done on the Internet like this teenager who tried to prank his mother. Unfortunately, he was being pranked back by his mother in the end. The unnamed teenager pranked his mother via text messages and was later posted on social media. The post consists of series of text messages where the boy pranks his mother by telling her that he had gotten his girlfriend pregnant. 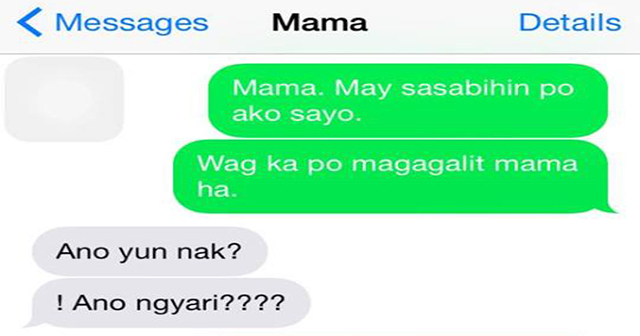 After reading the text message, instead of being happy with his soon to be the grandchild, the mother got instantly angry with his teenager son. We all know that most mothers of teenagers would surely feel the same reaction towards their children. The anger of the mom went further as she started scolding his son for his behavior and later informed him that because of what he did, he’s now kicked out of their house. 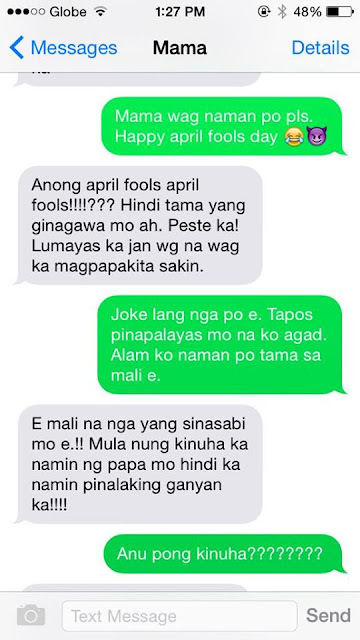 Because of the tone of his mother’s response, the boy got alarmed and immediately admitted that it was just a prank and even greet her Happy April Fools Day. However, his mother wouldn’t let the matter rest as she stated that they don’t raise him like that ever since they adopted him. 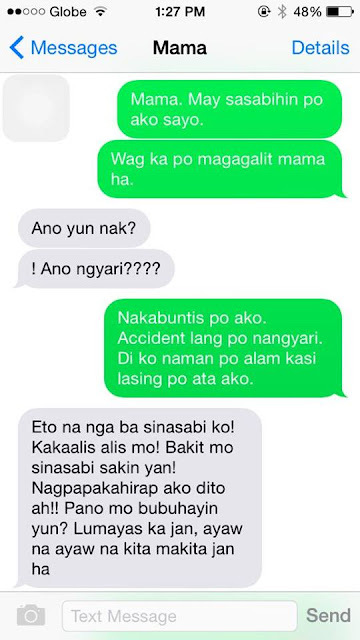 The boy got shocked upon reading his mother’s big revelation, and he truly believed that his mother was telling the truth and was serious with the way she said it in her text messages. In response, he texted his mother several sad emoticons and his mother later on revealed that everything was just a prank. What happens to this teenager boy was quite funny as he turned out to be the one prank in the end. What is your opinion on this article? Isn't it funny that her mom has a counter-prank on her? Share us your thought.